The name dispute after the end of the local elections in Macedonia and the success achieved by the ruling coalition returns again to the focus of international diplomacy, followed by great optimism and expectations for its final outcome, and the first meeting of negotiators on both sides is expected by the end of the month. This is confirmed by the statements made by Prime Minister Zoran Zaev, the heads of diplomats of Macedonia and Greece, Nikola Dimitrov and Nikos Kotzias, as well as the optimistic announcements of US Deputy Assistant Secretary of State Hoyt Yi. 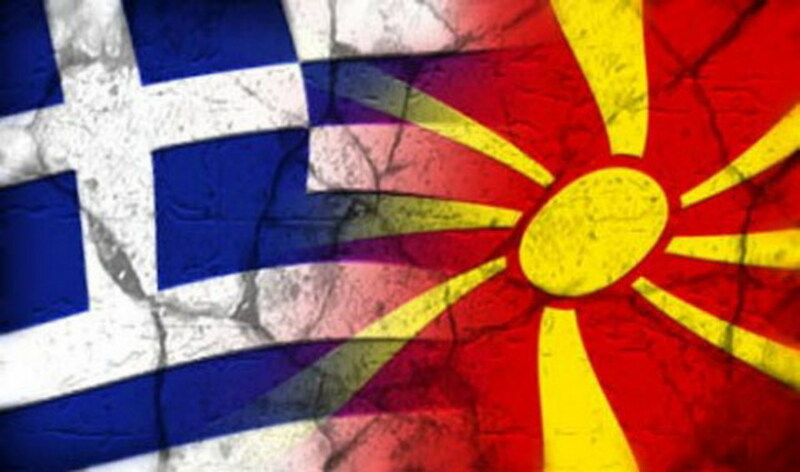 Prime Minister Zaev said yesterday that Macedonia must be ready to step up on the name issue, assessing that now there is a greater chance of finding a solution with Greece before. "With the Republic of Greece, we have more chances than ever to find a solution. I expect that by the end of this month, things will begin to move even though the negotiators with Nimetz. I am at the prime ministerial level, the foreign minister is ready, we have already talked with the president of the state. In terms of this issue, Macedonia must be ready to step down to resolve this issue, "Zaev said. He expressed the hope that the opposition will also be included maximally, not for new blockades and new delays, but in function, says, to find out that this burning problem is a brake on the Republic of Macedonia and its integration processes. Greek Foreign Minister Nikos Kotzias, meanwhile, said earlier that the name issue should be resolved in the first half of 2018 and that if not resolved, there will be major difficulties. If resolved, a three to four months bureaucratic procedure is needed in the UN. Thus, it should be resolved by the end of 2018, because 2019 will begin with elections for president in Macedonia, and then, in the summer and in Greece, there will be elections. According to the Greek media, Kotzias personally wanted to resolve the issue of Skopje, within a wider context, according to which Athens must close all open fronts to focus on settling Greek-Turkish relations. The State Department's High Representative Hoyt Brian Yi said recently that the resolution of the name dispute has so far been at the highest level and closest to finding a solution. "There is still a lot of work to be done on both sides. There will be negotiations and I am optimistic that there will be a solution because the mood in both Greece and Macedonia is at the highest level ever, "said US Deputy Secretary of State Yi at the Center for International Relations in Washington. Commenting on this statement by the US Deputy Assistant Secretary of State, the Macedonian Foreign Minister Dimitrov pointed out that there is an attempt to create a positive climate, which, according to him, is due to the lesson learned with Macedonia that can happen when a country is left a long time in the EU waiting room. - Hence, there is one political will, one optimism to draw a lesson and open the doors. And from this kind of encouraging messages, says Dimitrov. He announced that a meeting at the level of negotiators on the name dispute will be held by the end of this month. - At the end we are setting the date. In this first phase there will be no visit to mediator Matthew Nimetz of the region. It is likely that this will be this month and once it is defined, they will inform the mediator's office, said Dimitrov recently. Under the heading "FYROM on June 11-12, 2018 joins NATO, the name issue is in the hands of Kotzias and Syriza", the Greek portal "difernezus" published a text claiming that there is a determined schedule for resolving the problem that Greece has with its constitutional name of the Republic of Macedonia. According to the portal, which calls for reliable sources in the Greek diplomatic circles, Macedonia, according to the schedule, will first withdraw the statues and "completely destroy the Skopje 2014 plan" in order to join NATO. "The name issue of the FYROM is entering the final line, and at the NATO Summit on 11-12 June 2018 in Brussels, there will be a definitive solution to the name that will allow the former Yugoslav Republic of Macedonia to join the Alliance," the portal adding that if everything goes according to the plan, it will have symbolism, because exactly 10 years of Greece's veto at the NATO summit in Bucharest in 2008 will happen.